2016. Philadelphia, Pennsylvania. USA. 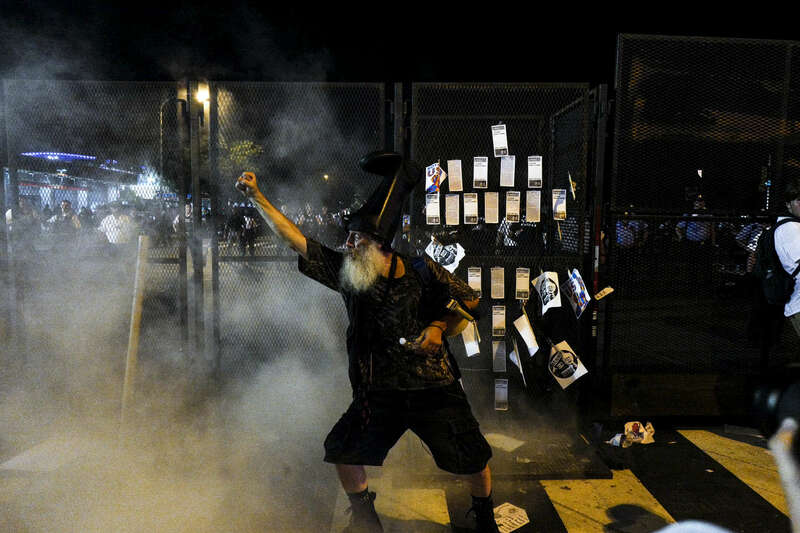 Vermin Supreme by the gates to the DNC after an American and Israeli flag were burned by protestors.